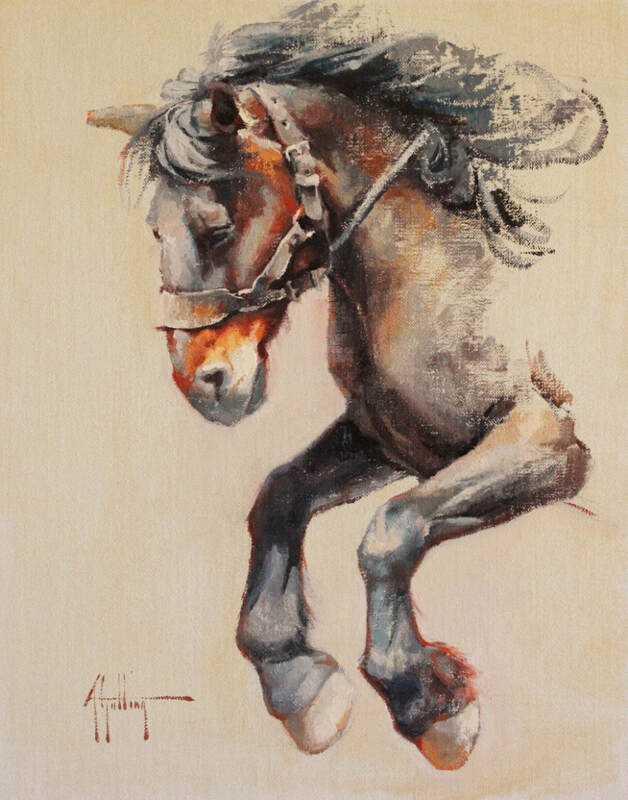 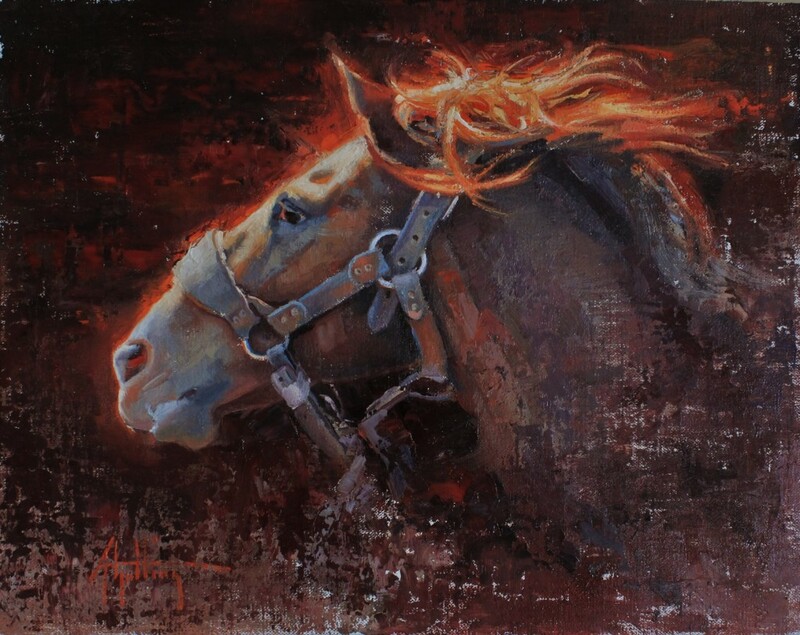 Inspired by her love of the American West, Abi paints to tell a story. 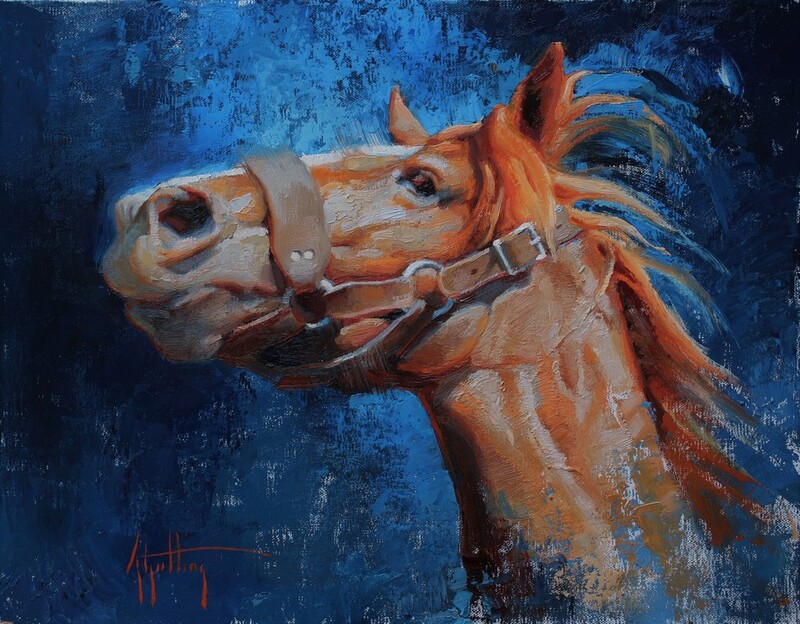 Art has always been an important part of her life and her early training began as a young child when her artist mother, Susan Gutting, trained at the American Academy of Art in Chicago, allowed Abi to work alongside her in the studio. 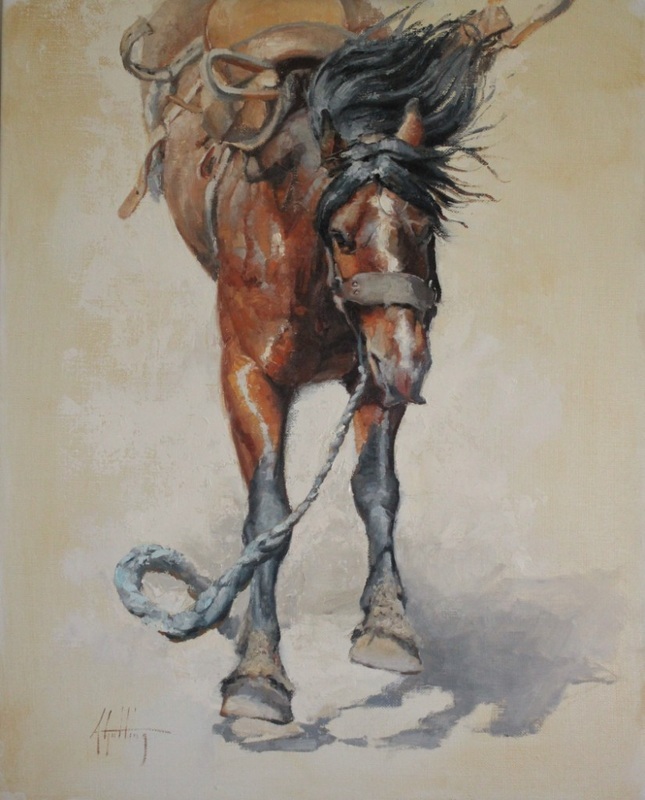 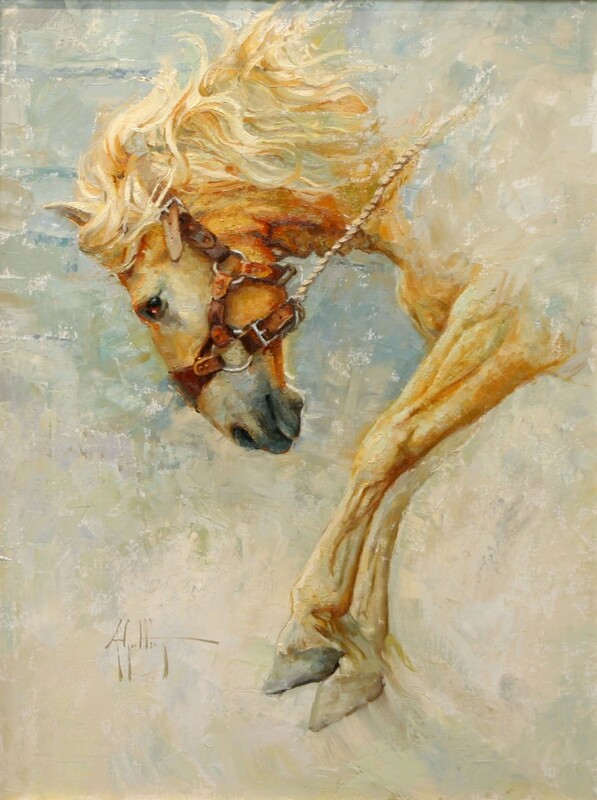 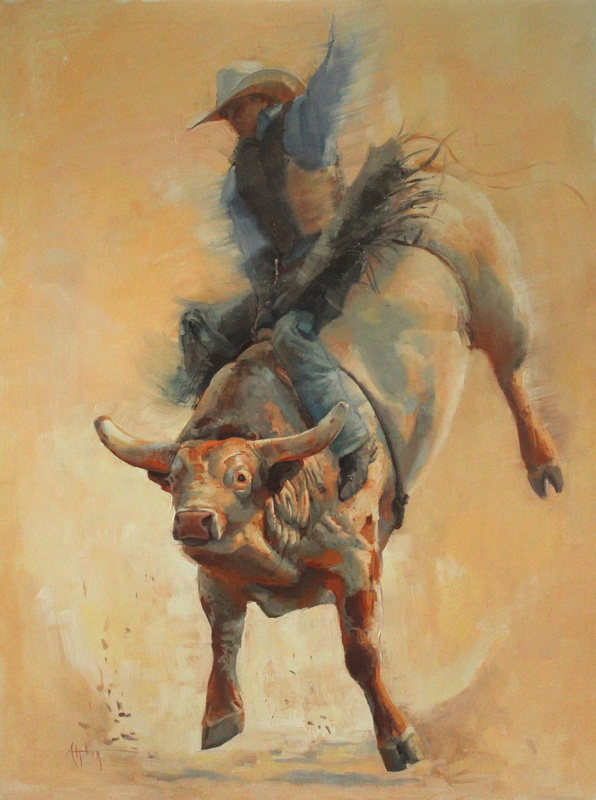 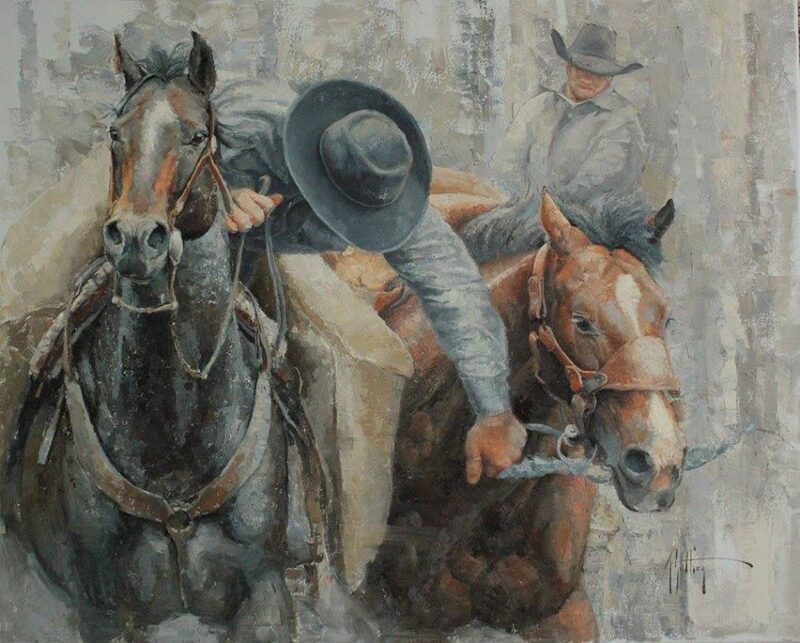 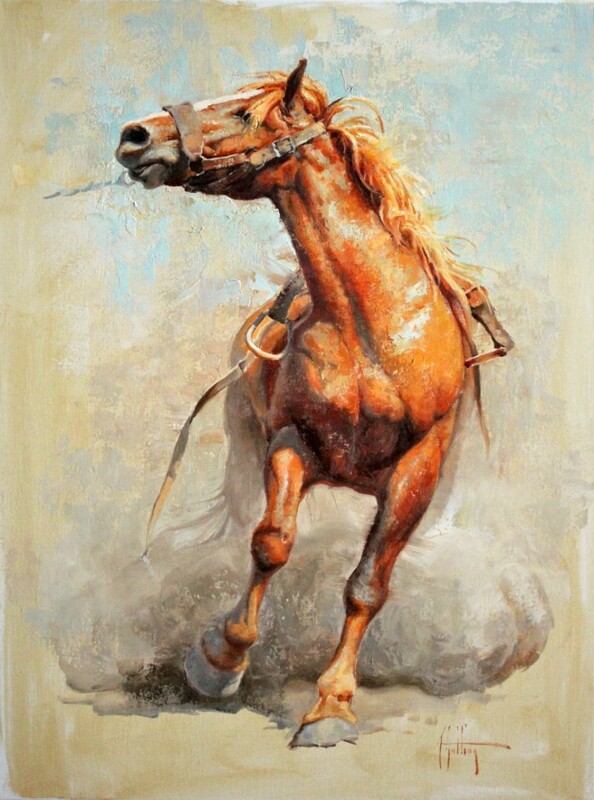 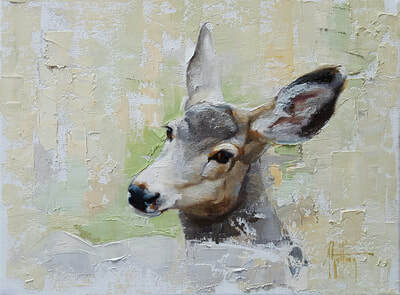 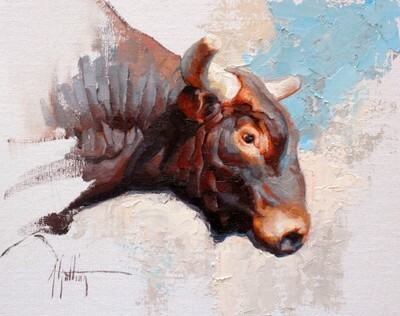 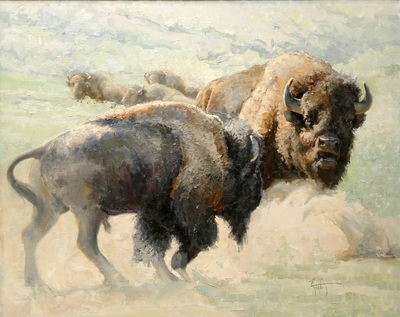 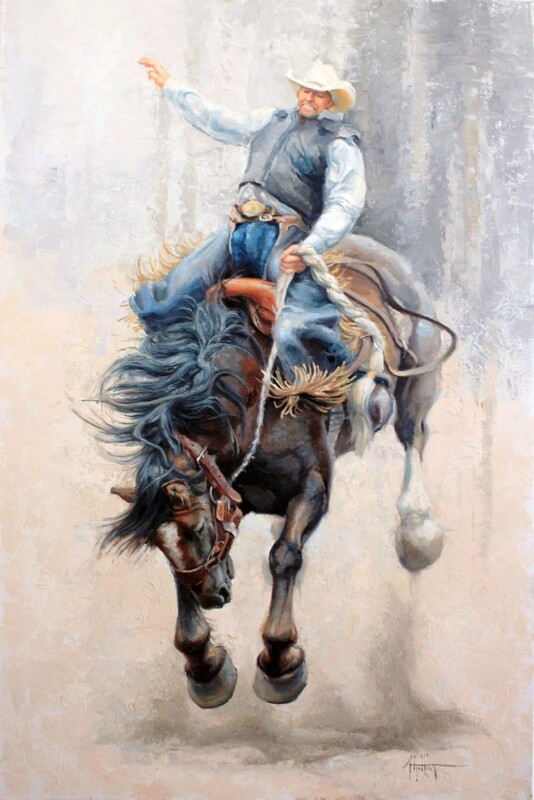 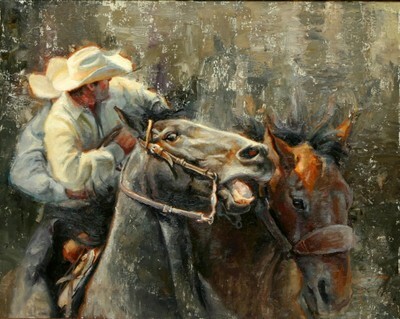 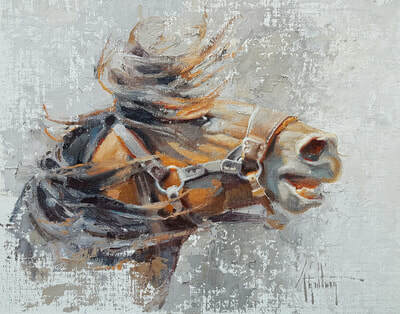 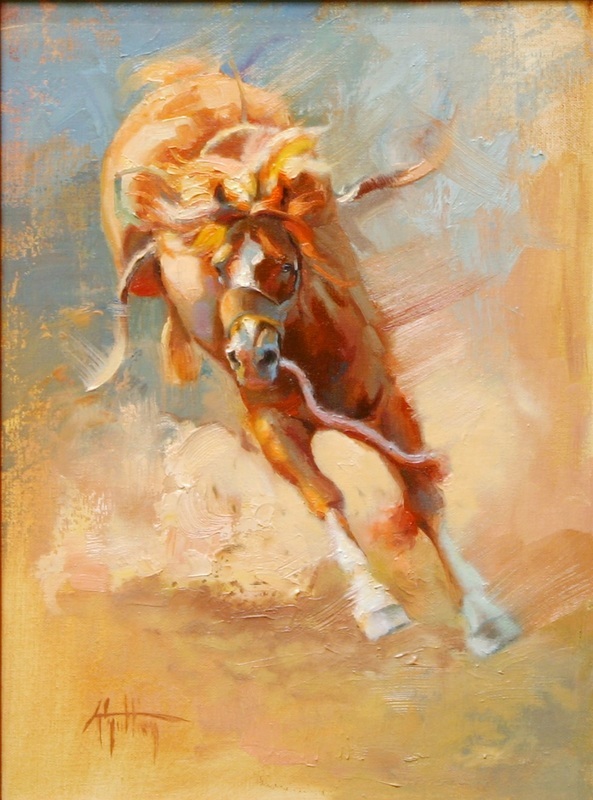 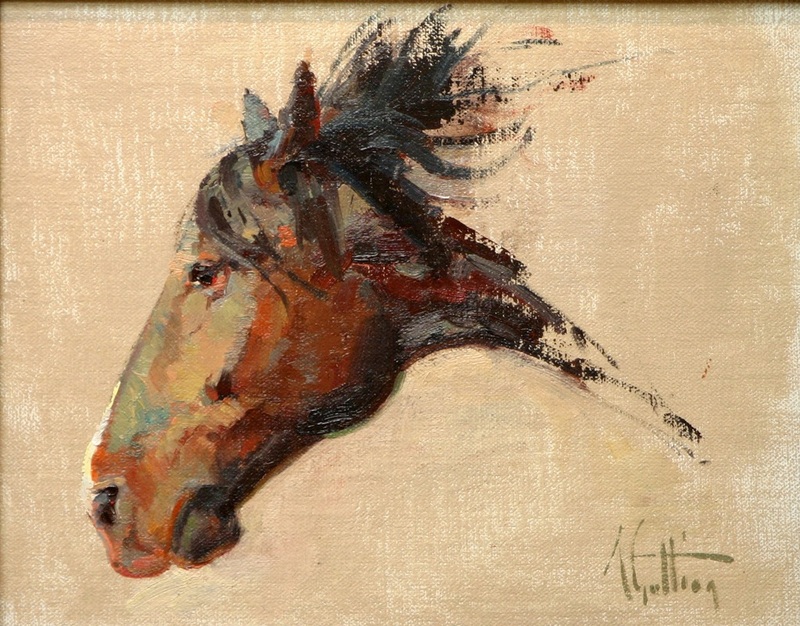 She has also studied at the Frye Museum in Seattle, WA under Barbara Benedetti-Newton, Glacier National Park under Phil Starke, and the Scottsdale Artist School, under Ray Roberts, Bruce Greene - Cowboy Artists of America Week, and Greg Beecham. 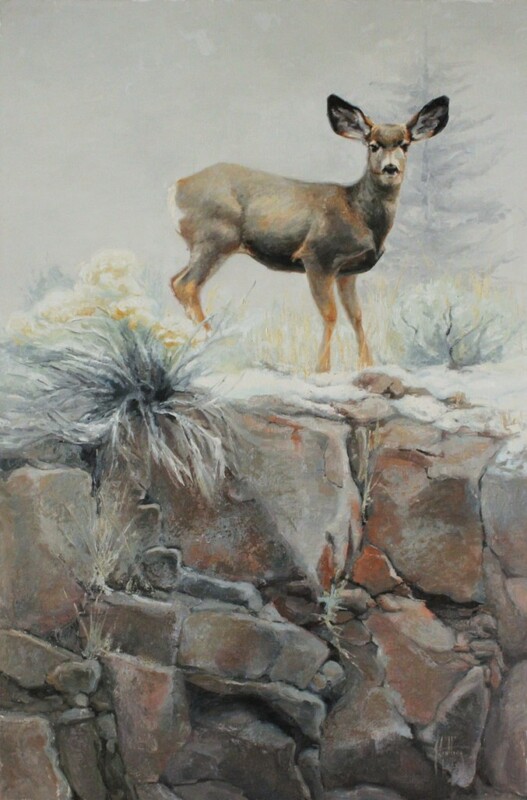 In 2013, she was named one of Southwest Art Magazine's 21 Under 31 Young Artists to Watch. 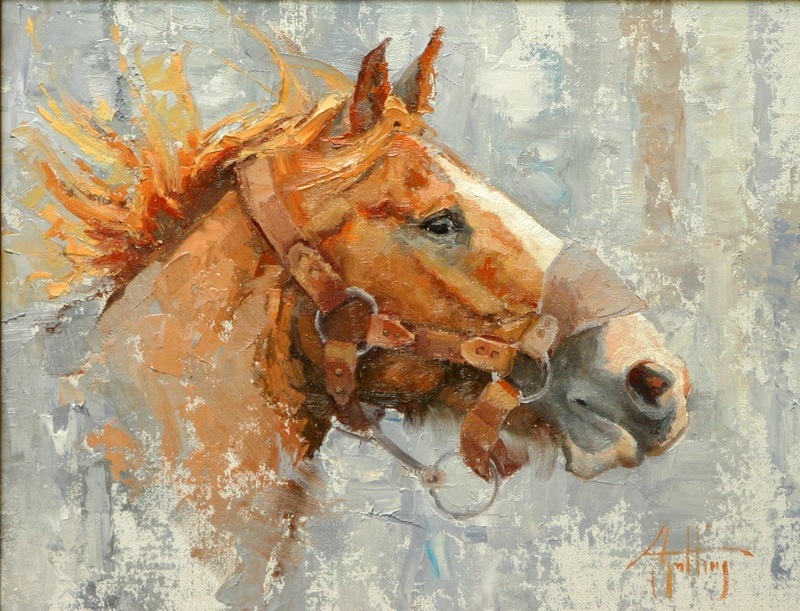 While Abi's love of art is inherited from her mom, and her growth as an artist cultivated by Susan, Abi's love of animals and the American West was fostered by her time spent working with her veterinarian father through her teens and into her early twenties. 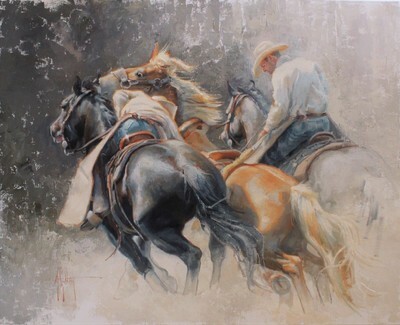 On occasion, she still has the opportunity to work with her dad. The memories from those experiences are rich and contribute to Abi's vision for her art. She looks forward to a lifetime of growth and opportunity as an artist. Abi currently lives in the beautiful mountains of northern Idaho.